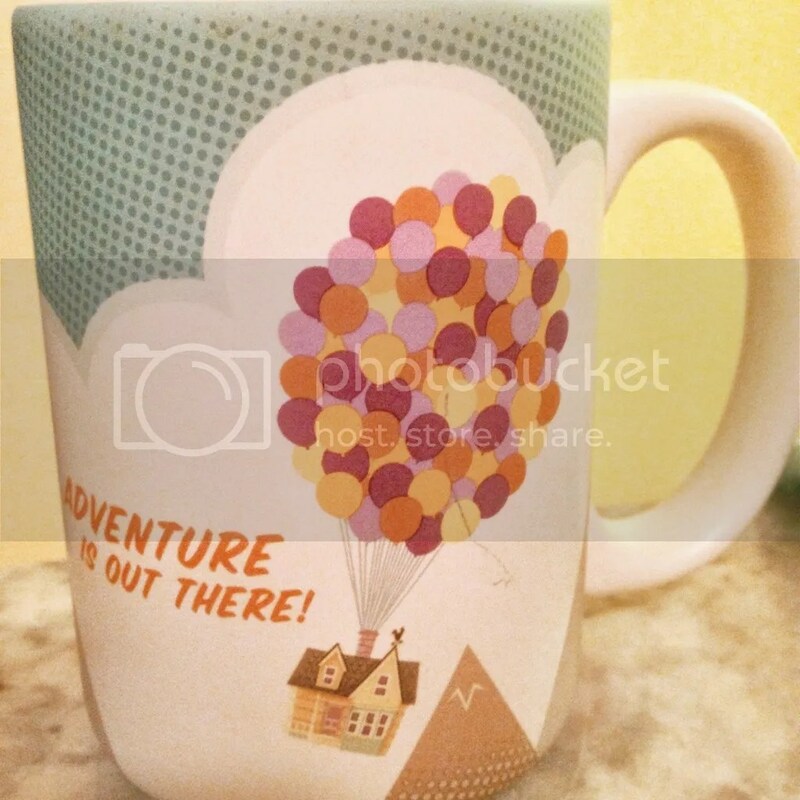 The other day I went to the Hallmark store in search of a certain Disney mug and was so happy to find it! I absolutely love the Disney section they have at Hallmark. I plan on buying everything they have for my office/work. They even have an awesome Star Wars and Lennon & McCartney section as well. Here’s my awesome mug. This may be my regular coffee mug for a while. 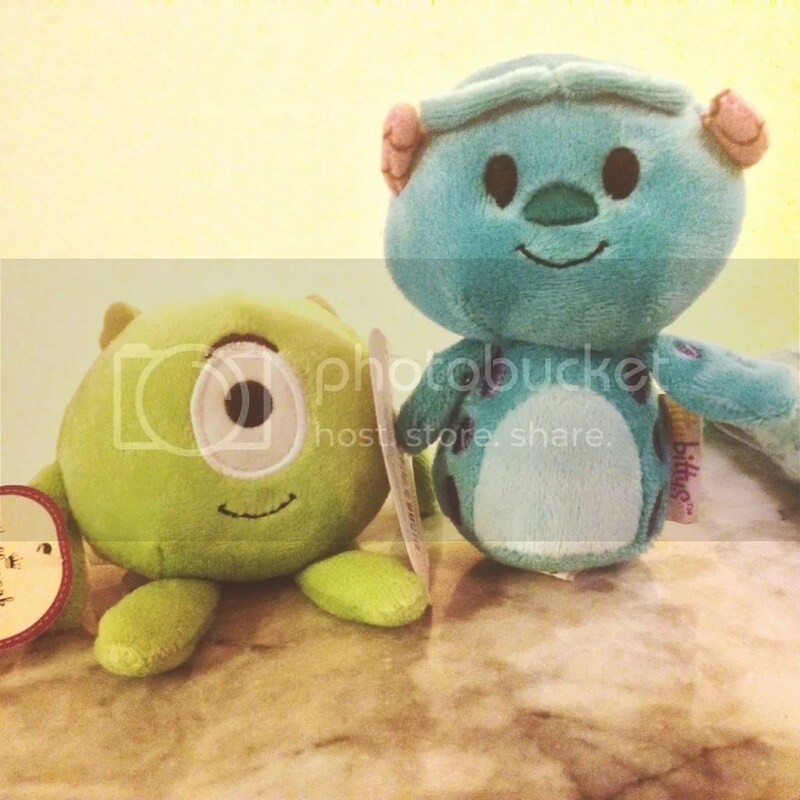 Anyways, I guess last year Hallmark came out with these adorable little stuffed creatures called itty bittys. They have Disney characters, Star Wars, Muppets, Marvel, and even DC characters as well! I can’t get over how adorable I think these little guys are. They have so many and now along with my Pop! Vinyl Collection, I found a new thing to collect and waist my money on. Right now until 4/5/15, these itty bitty are Buy One Get One 50% Off. 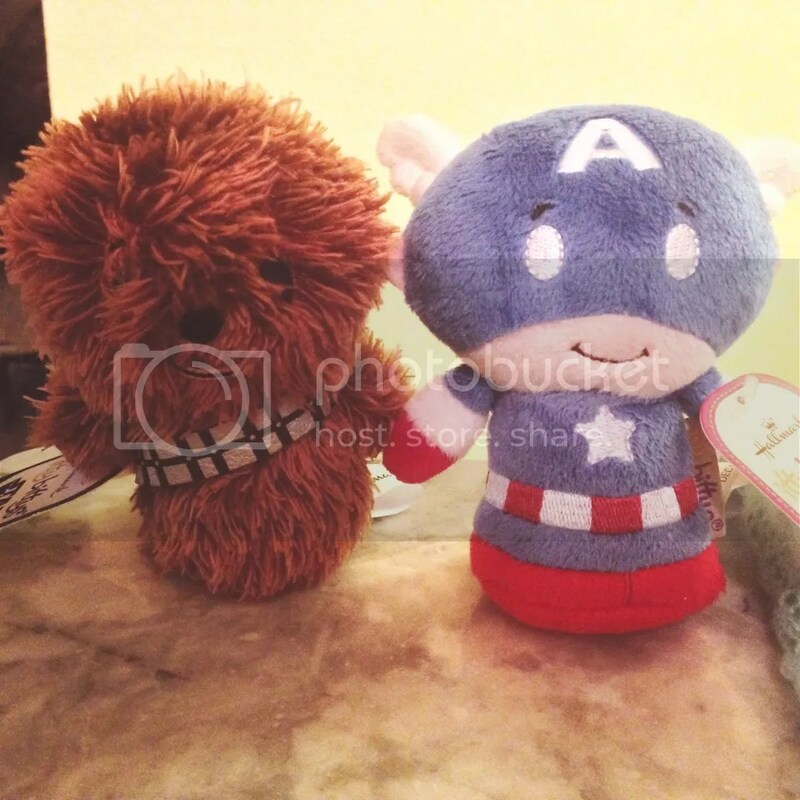 I ended up buying 4: Captain America, Chewbacca, Mike, and Sulley. I want to go back and get more! I’m planning on getting Mickey and Minnie for my mom for Mother’s Day. Here’s what these adorable little guys look like. Hallmark is definitely my favorite local place to buy Disney items (besides the Disney Store of course) Everything is reasonably priced as well. Click Here to check out the itty bitty checklist and see all the adorable itty bittys that are available and those soon to come. Oh my gosh! 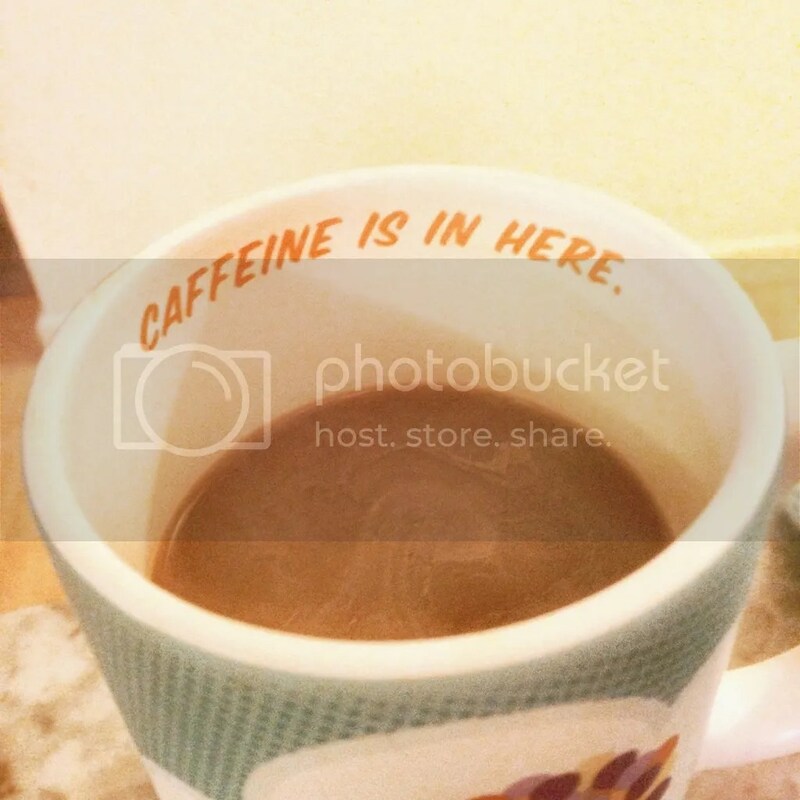 I adore that mug. It’s perfect. And how cute are those Itty Bitty plush?! What an adorable haul! I saw another person with the mug and I had to have it! The itty bittys are so adorable I couldn’t resist! I know I’m totally too old for stuffed animals, but I figured they could go in my office since it has all my collectibles/movie stuff.